Window tinting can help keep your car’s interior in good condition, reduce fading, and keep temperatures lower in the summer. When it’s installed correctly, your window tint will last for many years. But if it’s installed by an untrained technician, you’re in for trouble. So, where do you even start looking for a reliable company to install your tint? 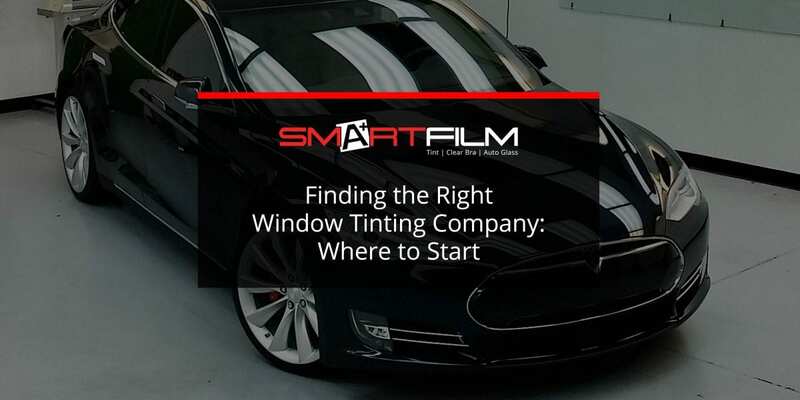 Here are a few simple tips to help you find a window tinting company you can trust. Your friends, coworkers, and family members are a great resource when searching for any type of service provider. But they’re even better when you’re looking for a window tinting company. Instead of just hearing about they’re experience, you can inspect their window tint in person. If the tint is holding up well, you can expect the same quality installation for your vehicle. When window tint film is installed incorrectly, it will separate from the glass. This causes bubbles beneath the film and makes it hard to see outside the car. Before working with a window tinting company, make sure they’re experienced. Don’t be afraid to ask for examples of their work. Good companies keep a portfolio of past installations so you can see what their work looks like and the types of cars they’ve worked on. It might sound strange, but it’s always best to shop around when looking for a trustworthy window tinting company. Go to each location in person and speak with the staff. This can help you gain a better understanding of the quality of the service they provide. Get quotes from multiple shops and work with a company that offers a balance of quality and price. Remember, you get what you pay for with tint installation and basing your decision solely on the price of the service is not in your best interest. At Smart Film, we believe that window tint should last for years and every installation should be affordable. Stop by our office or call (480) 907-7200 to see why we’re Arizona’s trusted window tinting company.